Is AI a false dawn? While artificial intelligence has certainly delivered impressive advances in some respects, it has also not successfully implemented the kind of groundbreaking high-order human activity that some would have envisaged long ago. Replicating technology such as thought, conversation and reasoning in robots is extraordinarily complicated. Take, for example, teaching robots to talk. AI programming has enabled robots to hold rudimentary conversations together, but the conversation observed here is extremely simple and far from matching or surpassing even everyday human chit-chat. There have been other advances in AI, but these tend to be fairly singular in approach. In essence, it is possible to get AI machines to perform some of the tasks we humans can cope with, as witnessed by the robot “Watson” defeating humanity’s best and brightest at the quiz show Jeopardy!, but we are very far away from creating a complete robot that can manage humanity’s complex levels of multi-tasking. 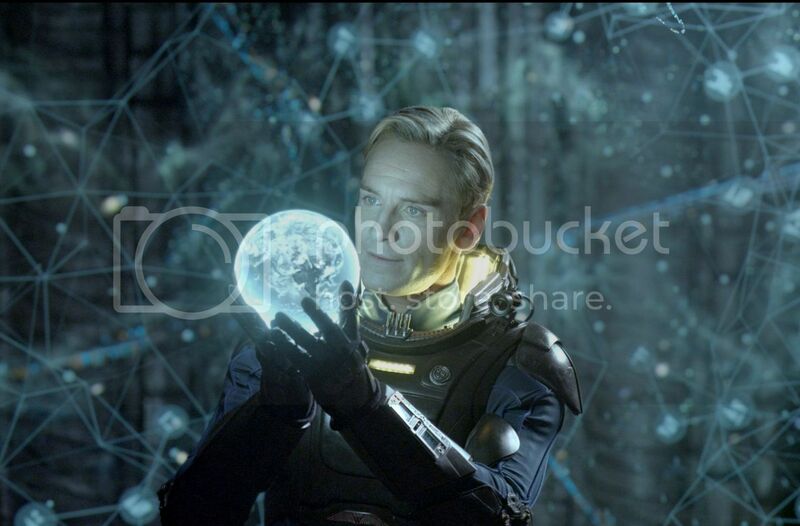 The android David exhibits wonder and surprise at a discovery in a scene from the 2012 sci-fi film “Prometheus.” Image and content ©2012 20th Century Fox, all rights reserved. Despite these modest advances to date, technology throughout history has often evolved in a hyperbolic pattern after a long, linear period of discovery and research. For example, as the Cambridge scientists pointed out, many people doubted the possibility of heavier-than-air flight. This has been achieved and improved many times over, even to supersonic speeds, since the Wright Brothers’ unprecedented world’s first successful airplane flight. In last year’s sci-fi epic Prometheus the android David is an engineered human designed to assist an exploratory ship’s crew in every way. David anticipates their desires, needs, yet also exhibits the ability to reason, share emotions and feel complex meta-awareness. Forward-reaching? Not possible now? Perhaps. But by 2050, computers controlling robot “brains” will be able to execute 100 trillion instructions per second, on par with human brain activity. How those robots order and utilize these trillions of thoughts, only time will tell! If nature can engineer it, why can’t we? 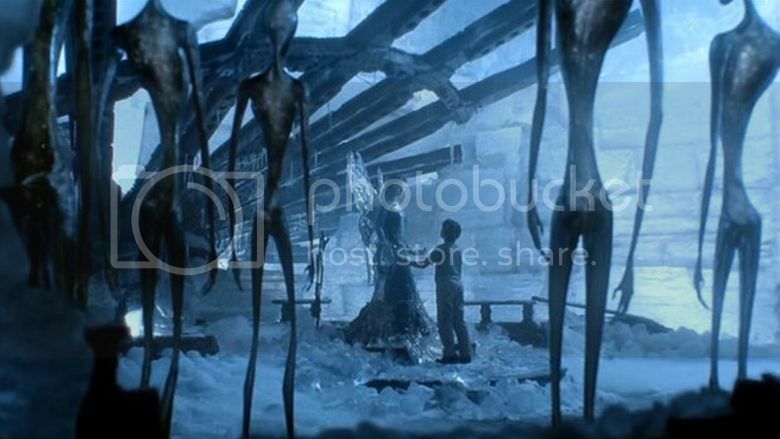 A world dominated by artificial intelligence in a scene from Stephen Spielberg’s “A.I.” ©2001 Warner Brothers Pictures, all rights reserved. The human brain is a marvelous feat of natural engineering. Making sense of this unique organ singularly differentiates the human species from all others requires a conglomeration of neuroscience, mathematics and physiology. MIT neuroscientist Sebastian Seung is attempting to do precisely that – reverse engineer the human brain in order to map out every neuron and connection therein, creating a road map to how we think and function. The feat, called the connectome, is likely to be accomplished by 2020, and is probably the first tentative step towards creating a machine that is more powerful than human brain. No supercomputer that can simulate the human brain exists yet. But researchers at the IBM cognitive computing project, backed by a $5 million grant from US military research arm DARPA, aim to engineer software simulations that will complement hardware chips modeled after how the human brain works. The research is already being implemented by DARPA into brain implants that have better control of artificial prosthetic limbs. The plausibility that technology will catch up to millions of years of evolution in a few years’ time seems inevitable. But the question remains… what then? In a brilliant recent New York Times editorial, University of Cambridge philosopher Huw Price muses about the nature of human existentialism in an age of the singularity. “Indeed, it’s not really clear who “we” would be, in those circumstances. Would we be humans surviving (or not) in an environment in which superior machine intelligences had taken the reins, to speak? Would we be human intelligences somehow extended by nonbiological means? Would we be in some sense entirely posthuman (though thinking of ourselves perhaps as descendants of humans)?” Amidst the fears of what engineered beings, robotic or otherwise, would do to us, lies an even scarier question, most recently explored in Vincenzo Natali’s sci-fi horror epic Splice: what responsibility do we hold for what we did to them? Is it already checkmate, AI? Could large supercomputer capacity, pictured here at IBM’s labs, eventually enable artificial intelligence to mimic human brain function? Artificial intelligence computers have already beaten humans hands down in a number of computational metrics, perhaps most notably when the IBM chess computer Deep Blue outwitted then-world champion Gary Kasparov back in 1997, or the more recent aforementioned quiz show trouncing by deep learning QA machine Watson. There are many reasons behind these supercomputing landmarks, not the least of which is a much quicker capacity for calculations, along with not being subject to the vagaries of human error. Thus, from the narrow AI point of view, hyper-programmed robots are already well on their way, buoyed by hardware and computing advances and programming capacity. According to Moore’s law, the amount of computing power we can fit on a chip doubles every two years, an accurate estimation to date, despite skeptics who claim that the dynamics of Moore’s law will eventually reach a limit. Nevertheless, futurist Ray Kurtzweil predicts that computers’ role in our lives will expand far beyond tablets, phones and the Internet. Taking a page out of The Terminator, Kurtzweil believes that humans will eventually be implanted with computers (a sort of artificial intelligence chimera) for longer life and more extensive brain capacity. If the researchers developing artificial intelligence at Google X Labs have their say, this feat will arrive sooner rather than later. There may be no I in robot, but that does not necessarily mean that advanced artificial beings would be altruistic, or even remotely friendly to their organic human counterparts. They do not (yet) have the emotions, free will and values that humans use to guide our decision-making. While it is unlikely that robots would necessarily be outright hostile to humans, it is possible that they would be indifferent to us, or even worse, think that we are a danger to ourselves and the planet and seek to either restrict our freedom or do away with humans entirely. 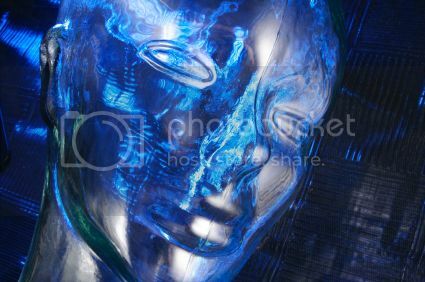 At the very least, development and use of this technology will yield considerable novel ethical and moral quandaries. It may be difficult to predict what the future of technology holds just yet, but in the meantime, humanity can be comforted by the knowledge that it will be a while before robots, or artificial intelligence of any kind, subsumes our existence.